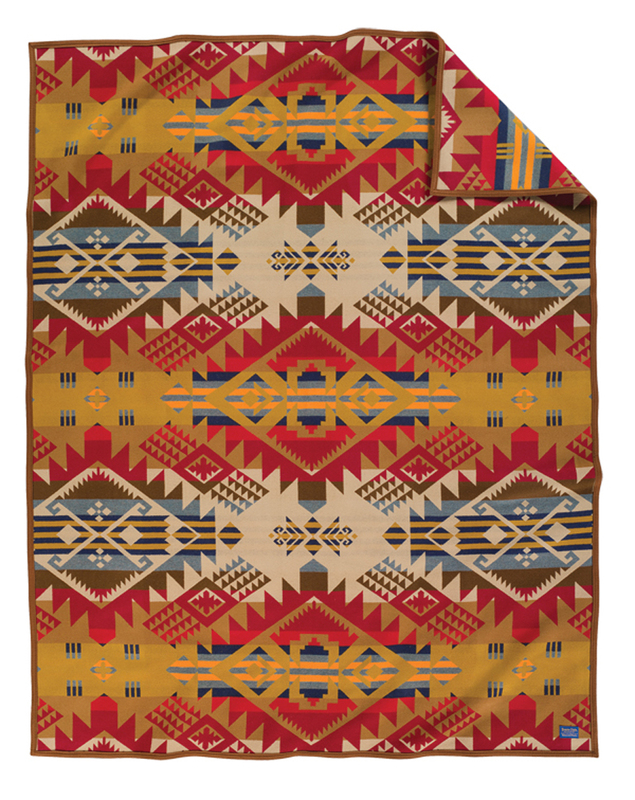 In 2010, Pendleton Woolen Mills introduced our Tribute Series, paying homage to the American mills that thrived during the Golden Age of Native American Trade blankets. In the early part of the 20th century, Pendleton Woolen Mills was one of five major mills weaving Trade blankets. 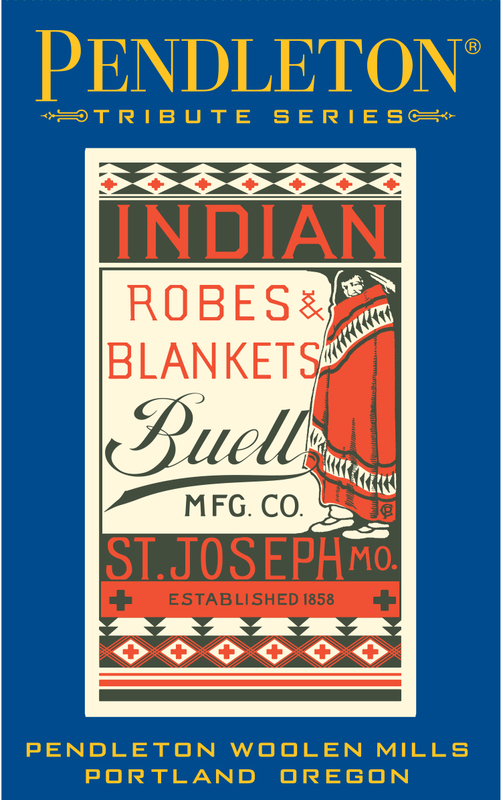 The Buell Manufacturing Company of St. Joseph, Missouri, incorporated in 1877. 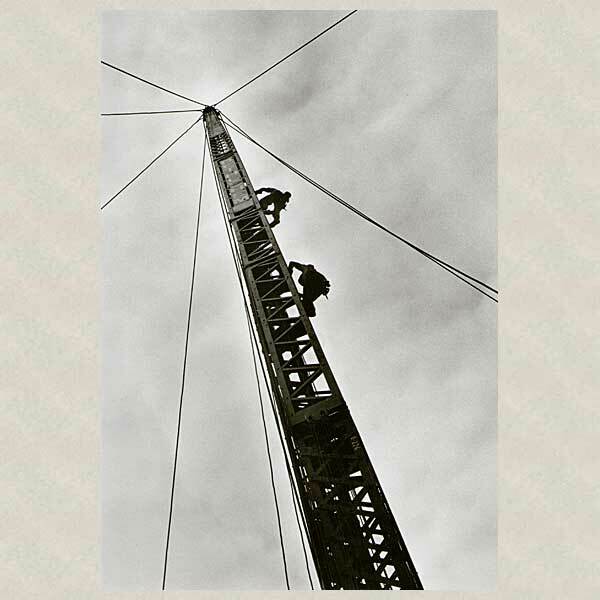 St. Joseph was the gateway to a booming Wild West, thanks to homesteading and the Gold Rush. The Buell mill, operated by Norman Buell, his son George, and another partner named John Lemon, was well-run and successful. 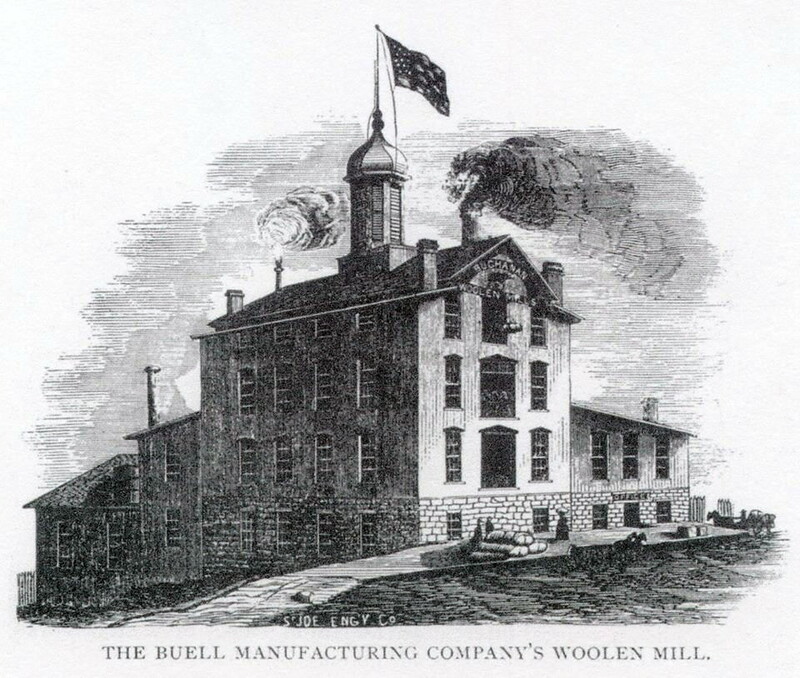 According to the county records of 1904, the Buell Manufacturing employed 175 workers and used more than a million pounds of wool a year. Buell products were sold in every state of the Union (45, to be exact). 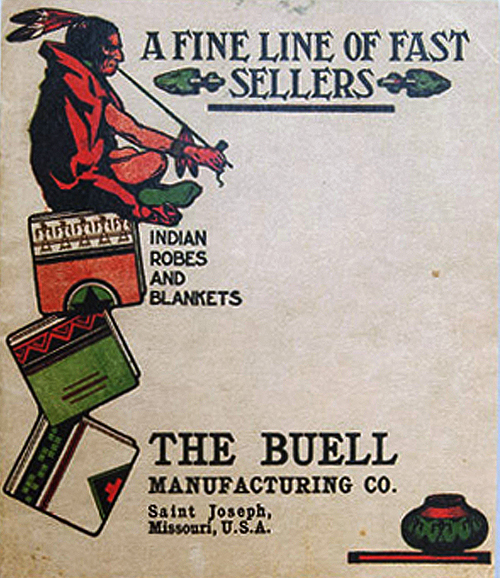 Buell products included far more than their Trade blankets. Their colorful designs were only a fraction of the products woven by Buell from 1877 to 1912. 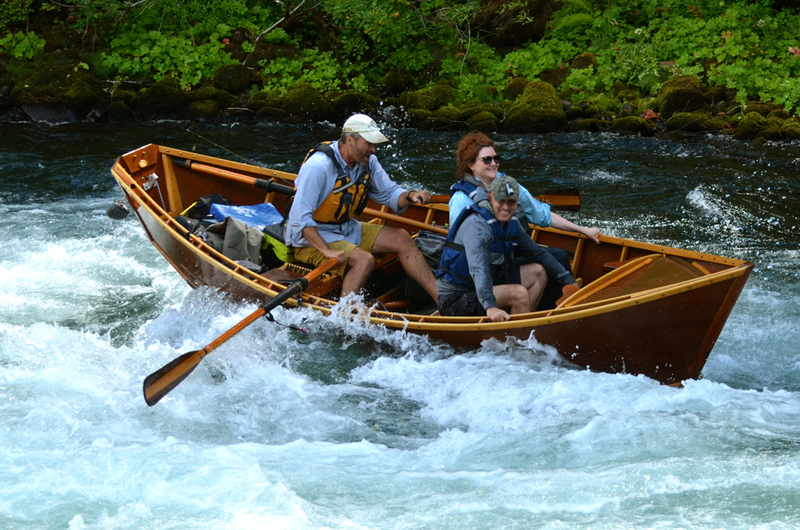 Since the Pendleton mill opened in 1909, we were only competitors for three seasons. 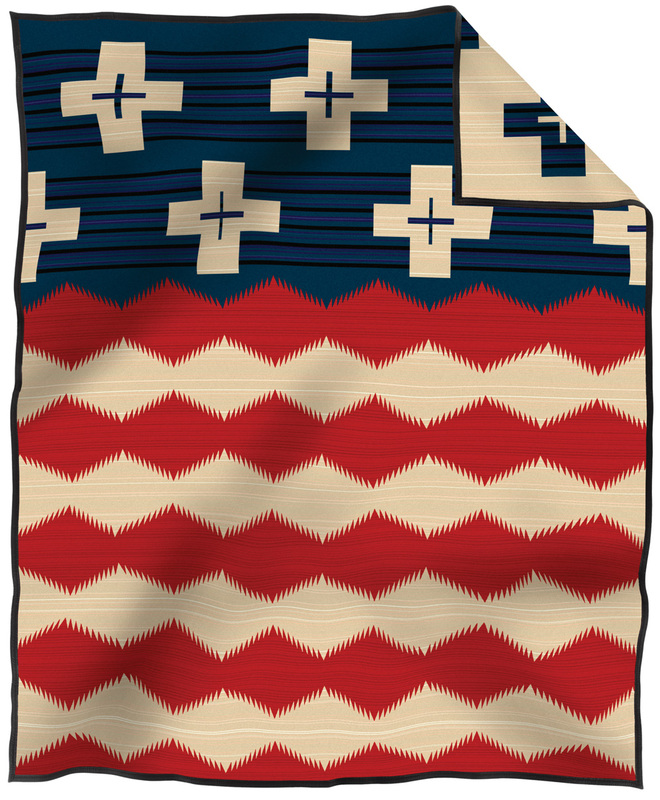 According to our friend Barry Friedman in his book Chasing Rainbows, “The blankets produced by Buell Manufacturing are without question the truest copies of Navajo and Pueblo Indian designs.” The original Buell blanket designs were given tribal names in keeping with America’s romantic view of the west during those years. We’ve included the original names strictly for your information. Please keep in mind that the Buell designs often bore little-to-no resemblance to the weavings of that particular tribe. Our re-weavings of these blankets are simply named for the original manufacturer, with the number of the blanket in the series. Buell #6 ( available here ) was originally called the “Choctaw” or the “Spider and Hawk” design. Buell #5 available here was called the “Winnebago.” Though Buell has a darker palette than many of the other mills producing blankets back in the day, this blanket is an eye-popper. Buell #4 (retired) was called the “Ojibwa.” Dale Chihuly has one of the originals in his incredible collection of Trade blankets. The banded design of diamonds, stripes, stars and that central sawtooth band is just gorgeous. 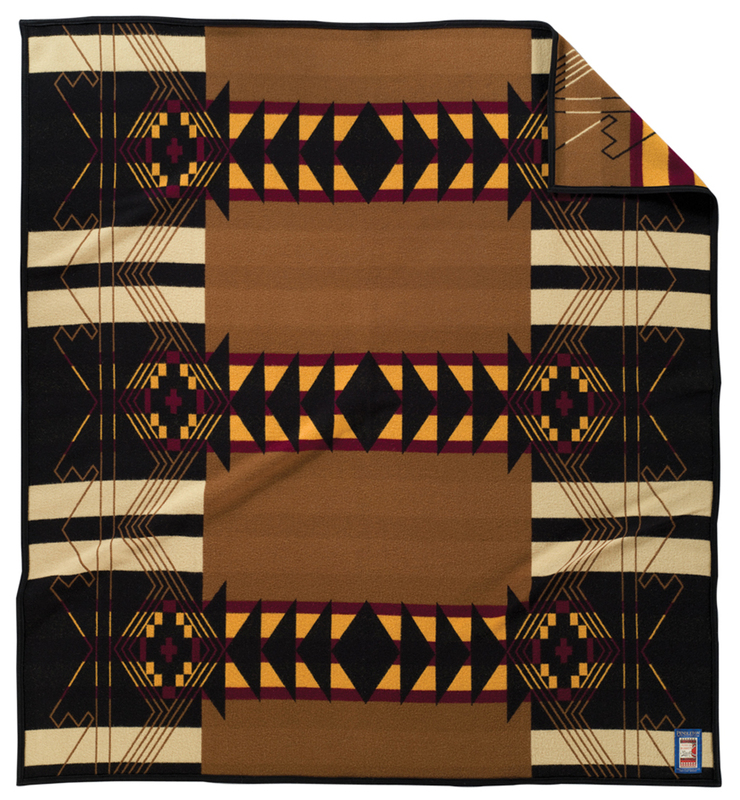 Buell #2 (retired) is called the “Zuni” pattern in the Buell catalog, but is actually a copy of a Hopi manta according to Barry Friedman (who knows pretty much everything there is to know about Trade blankets). Buell #1 (retired) is named “Aztec” in the original Buell catalog. It was offered in at least four different color combinations. An example in this coloration is also part of the fabled Chihuly collection of Native American Trade blankets. 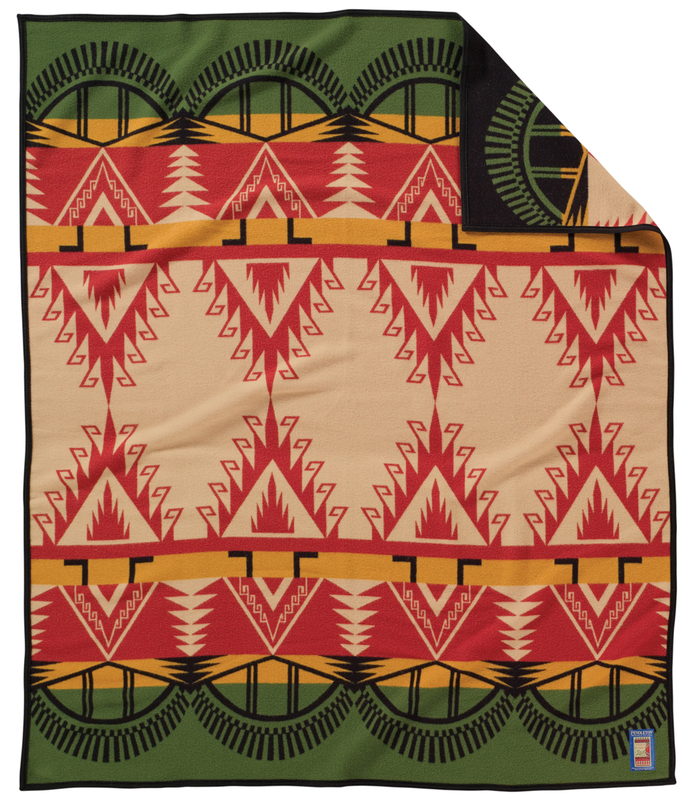 This blanket was a bestseller in our first year of the Tribute series. 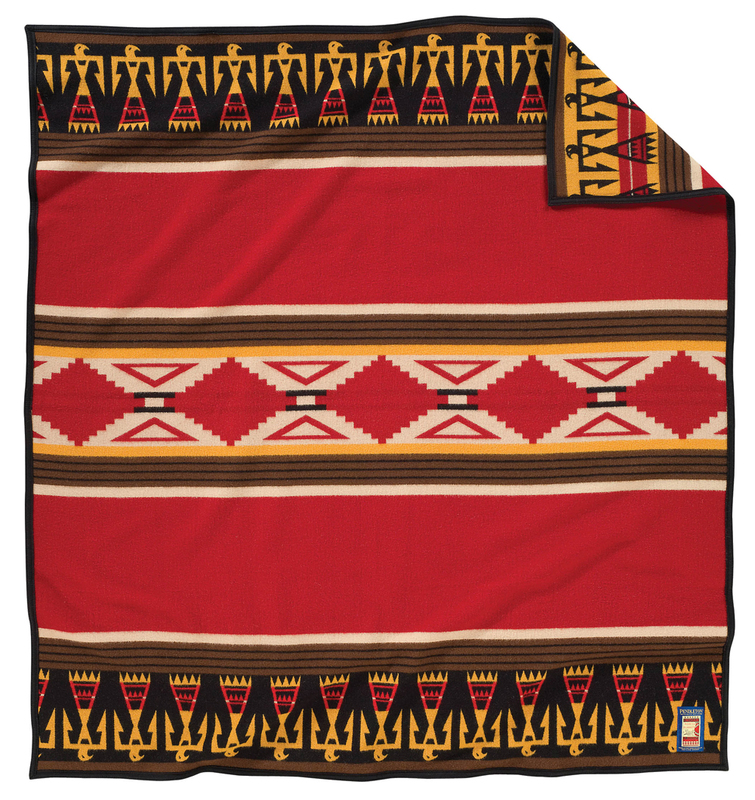 Buell blankets are among the most rare and most sought after by collectors today. This mill actually accomplished a major commercial weaving innovation–the incorporation of a third color in a weaving line. 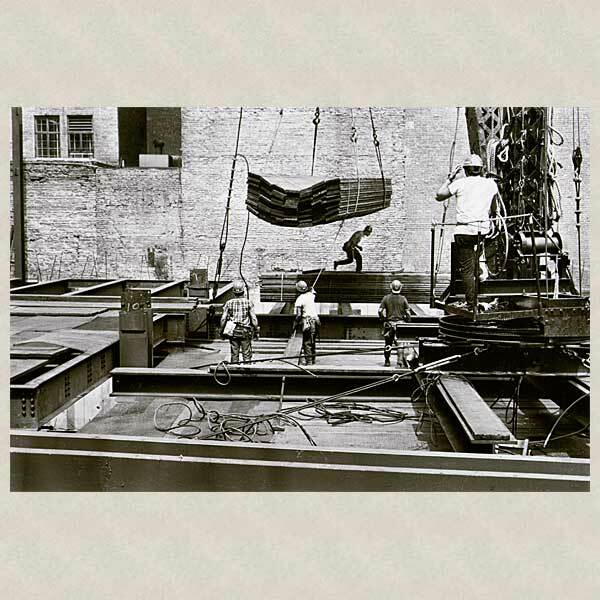 This was beyond the capabilities of Pendleton Woolen Mills at the time, so we tip our hat to the Buell Manufacturing Company of St. Joseph, Missouri. 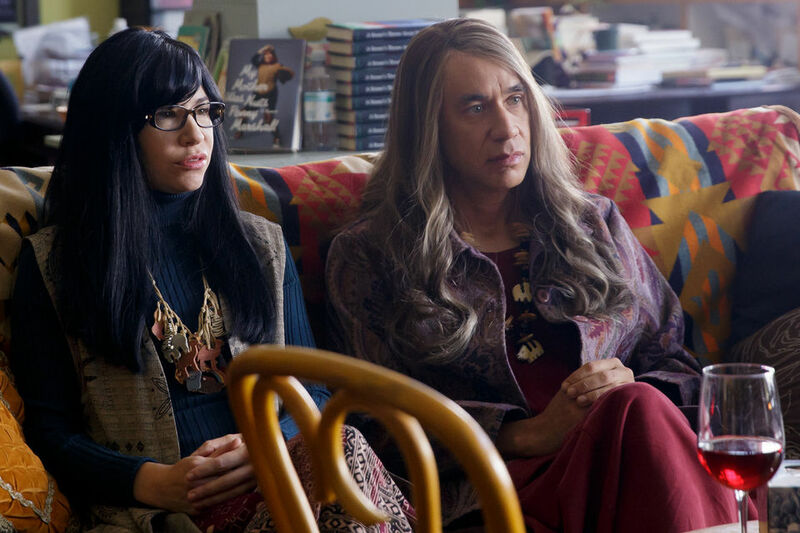 Portlandia and Pendleton. It just keeps happening. 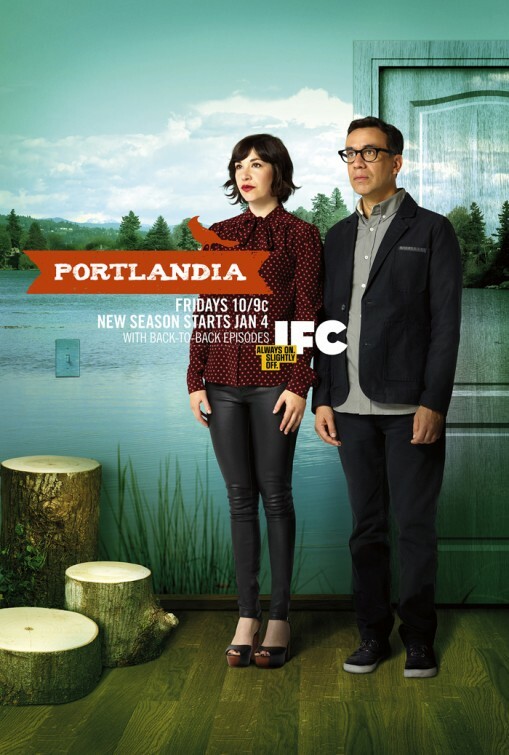 Here in Portland, where Pendleton Woolen Mills is headquartered, we have been invested in Portlandia since it started. We were fine with that. 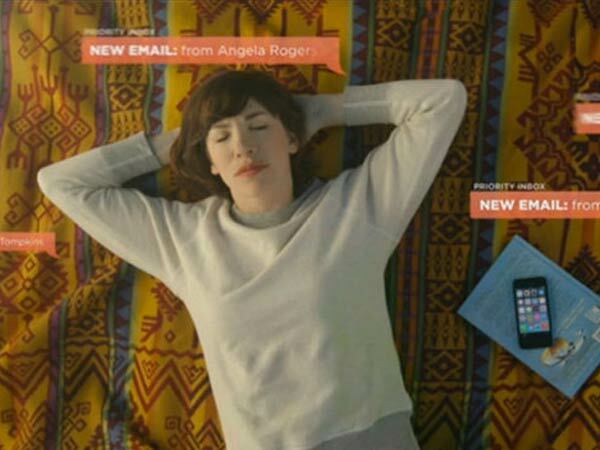 It wouldn’t be Portlandia without Pendleton blankets. Here’s a little tour of the blankets we’ve seen over the seasons. 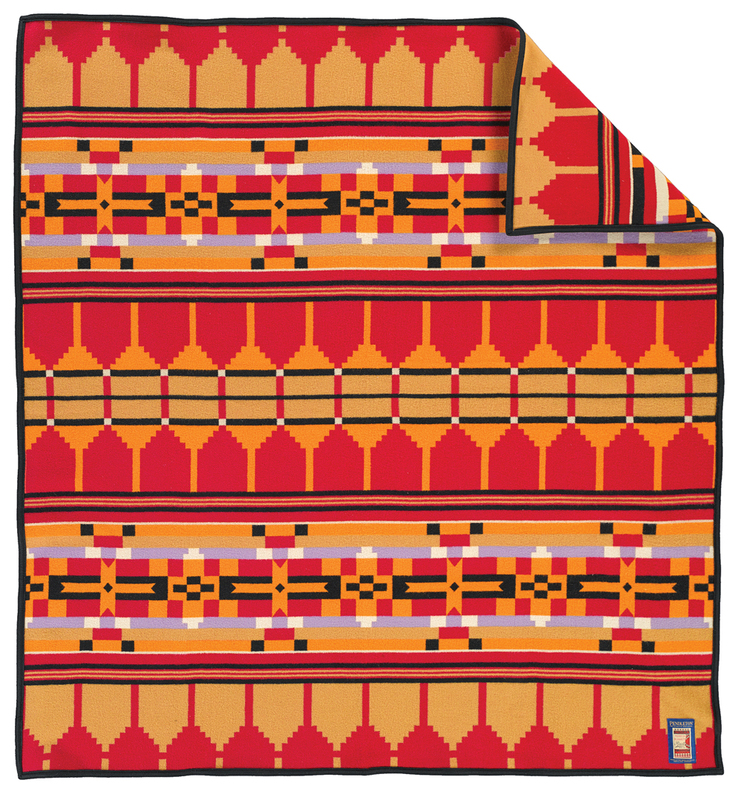 This last season, we were honored to have our Journey West blanket as the backdrop for the dramatic and unforgettable back story of Toni and Candace, as narrated from the sofa in the Feminist Bookstore. One of our jackets had some sushi, too. We’ve been in a few more skits in Season Five, and will grab those stills as we can. But we thought it might be nice to recap the blankets of seasons past for you. 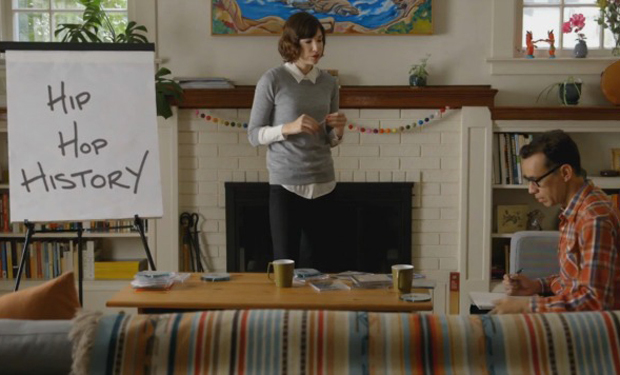 Who could forget the skit about binge-watching, back before we even knew how to call it binge-watching? 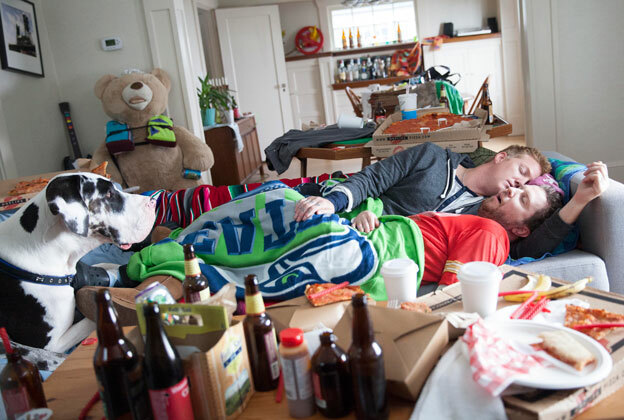 Our watchers and their Glacier National Park blanket became progressively more rumpled as they watched just. One. More. Episode. Of Battlestar Galactica. 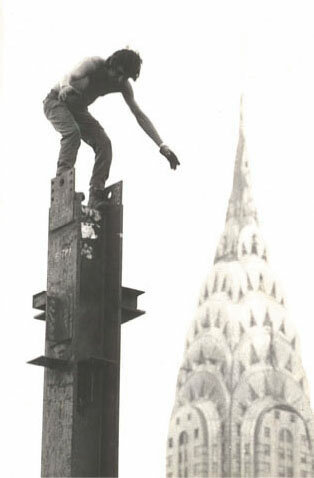 Our favorite shot, bar none, is this one. 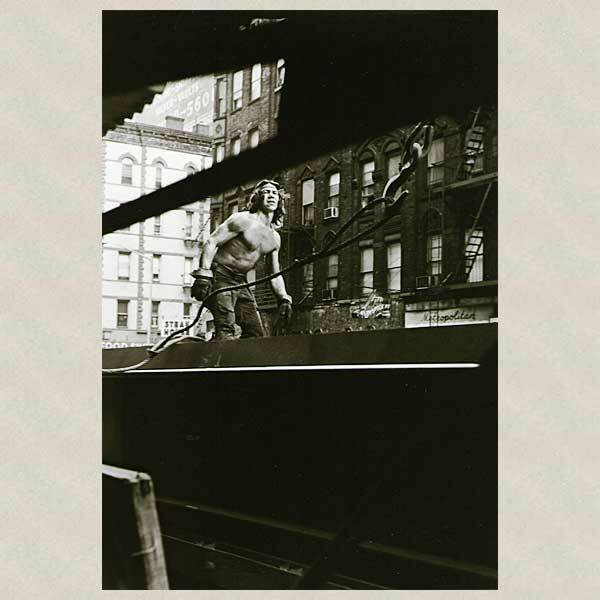 Ah, the days of wine and Eddie Vedder. IFC gave away this fringed Chief Joseph dance shawl in a haiku contest on Facebook, back in the good old days when Facebook was a fun place to have contests. 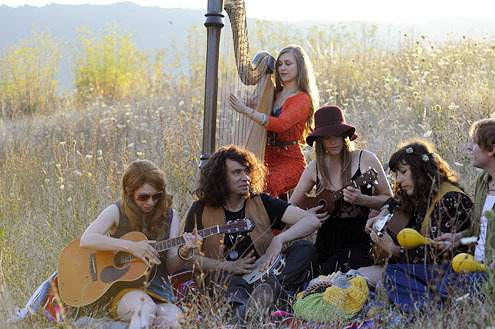 Our serapes made some peeks here and there, including this skit about a hippy who betrays his band of free-thinking friends by sneaking away to pursue his personal fitness goals at a gym. Another serape makes an appearance in a skit about an extremely disappointing brother-in-law. Even the dog is disappointed. 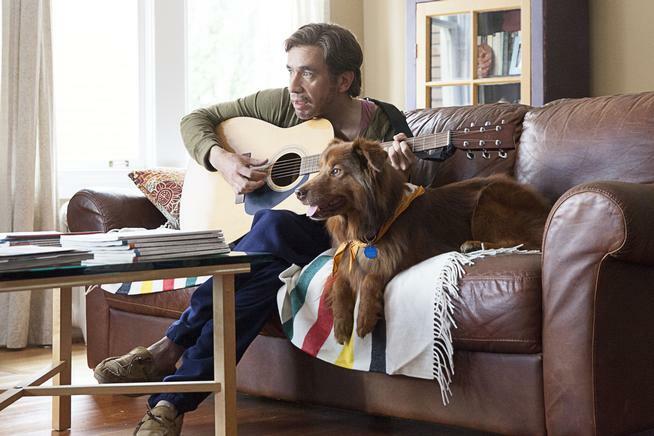 Another Portlandia dog keeps company with the perpetually unemployed husband who needs a babysitter while he stays home all day, not looking for work. The dog takes center stage on our Glacier National Park throw. 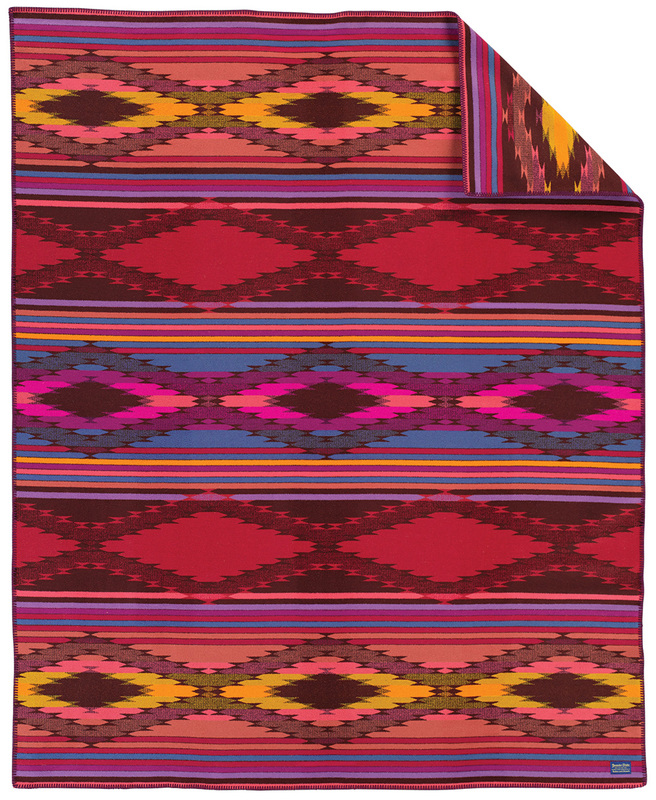 Carrie exercises “The Nuclear Option” to free herself from the tyranny of social media on our Abiquiu Sunset blanket. It’s never too late to sit in your immaculate Craftsman bungalow and learn the history of hip hop with our Chimayo throw, and that’s one of our Beach Shack shirts, too. 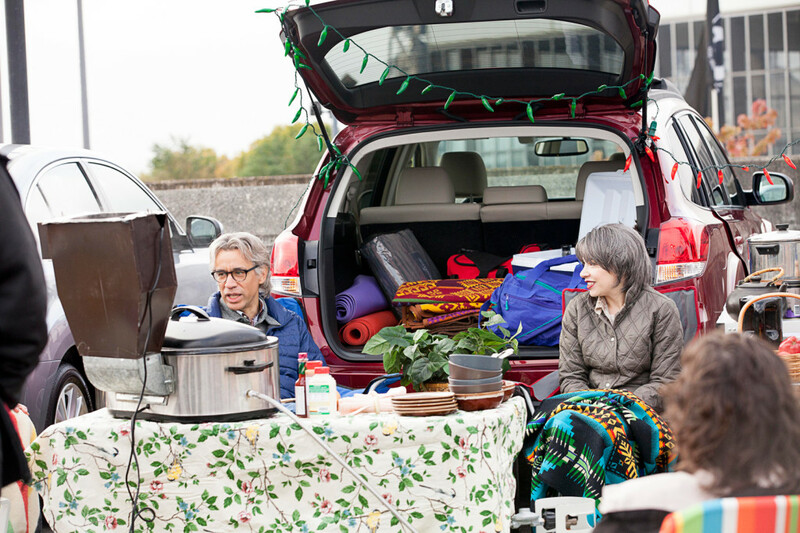 A cringe-inducing tailgate party with Earl Grey tea and tofu meatless balls includes a quite pile of our throws and saddle blankets. 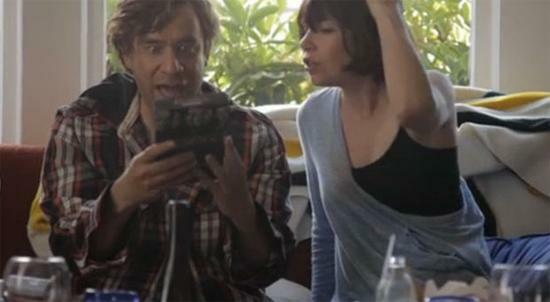 Carrie and Fred have had so much fun at our expense. We’re looking forward to Season Six to see what else they will skewer. Portland and its earnestly recycling citizens realize that we’re great comedy fodder. There’s just so much to work with here. 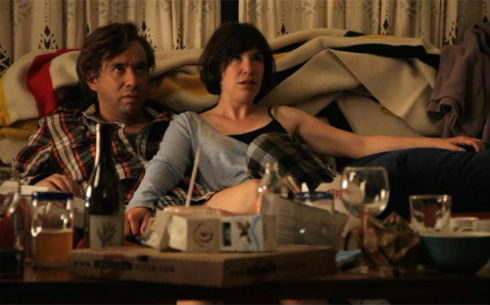 We know one day you’ll be through with us, Portlandia. But until then? 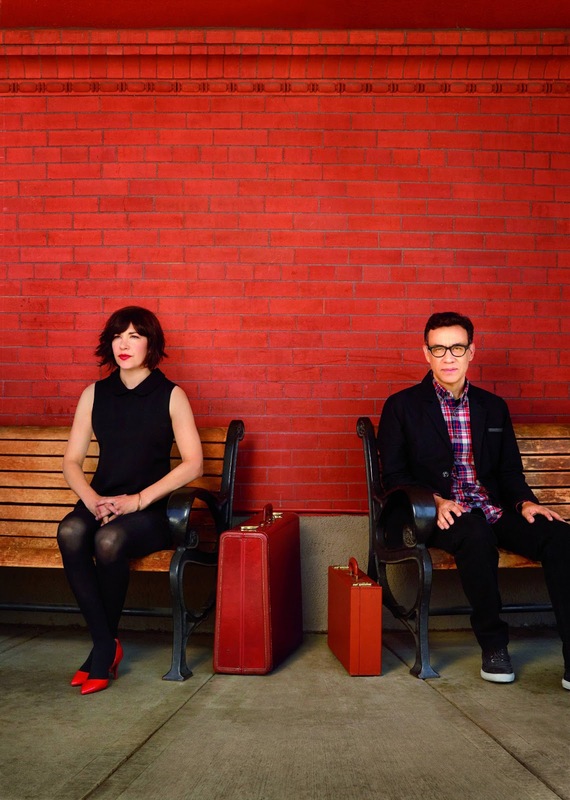 Carry on, Portlandia. Carry on. 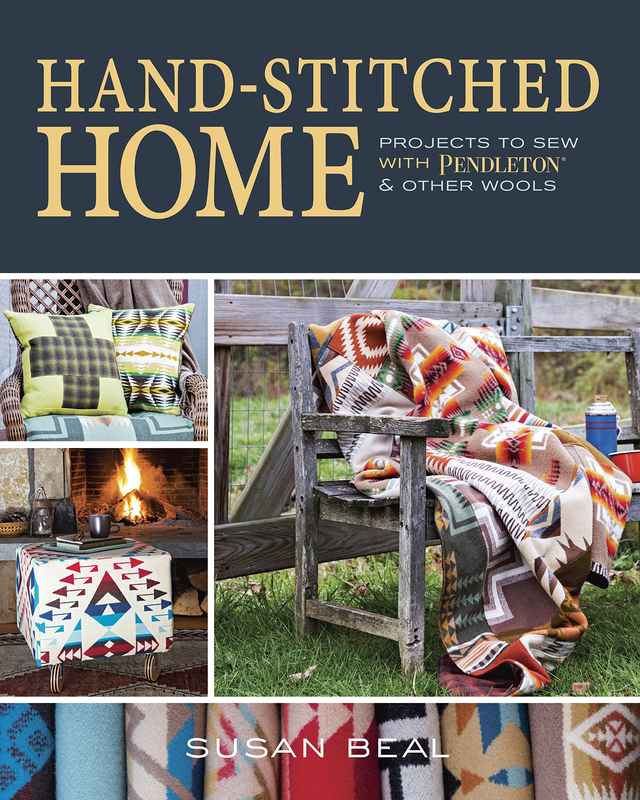 Mothers Day is coming soon, and of course Pendleton has so many ways to show her you care. But you may be looking for something unique and handmade to honor a special mom. 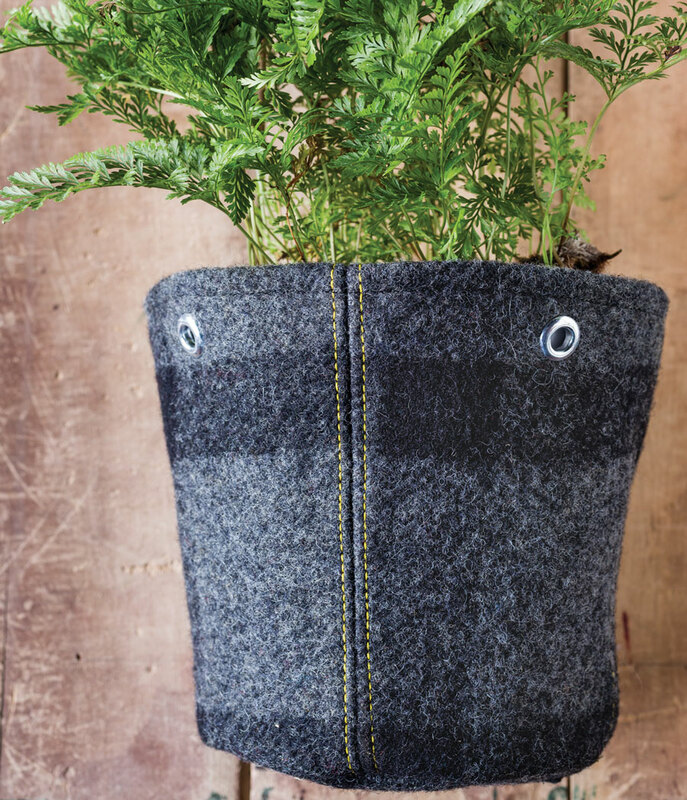 We would like to suggest one of these charming planters in Pendleton wool, designed by Amy Alan of Really Handmade. Amy’s planter is one of the projects curated by Susan Beal in her book, Hand-Stitched Home, published by The Taunton Press. Susan’s book is full of ideas, patterns and advice, with projects geared to all levels of crafting skill. 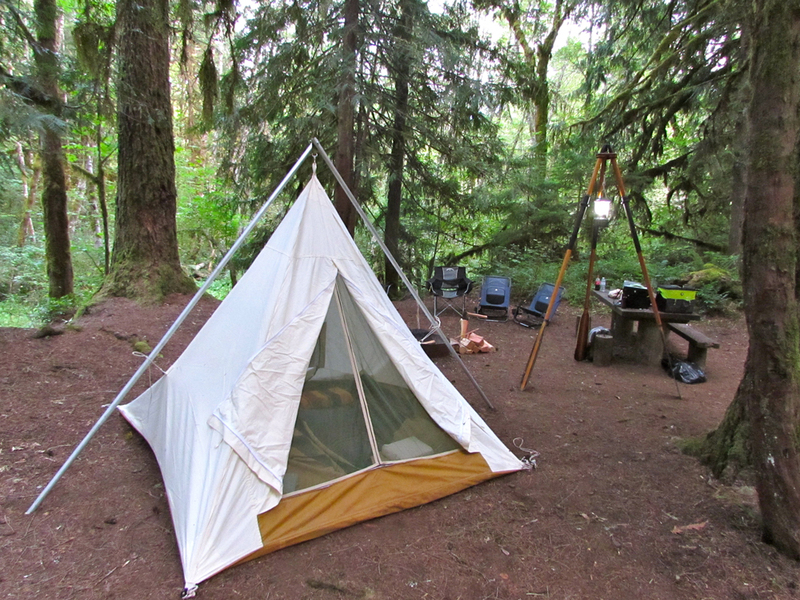 Susan is one of the bright lights in the Portland crafting community. She blogs at West Coast Crafty, one of the most popular crafting blogs around. She’s a charming person with so many ideas, and she appreciates the properties of wool that make it so wonderful to work with. We love what she’s done with our wool-by-the-yard. If you know a crafting mom, her book would make a wonderful Mothers Day gift. 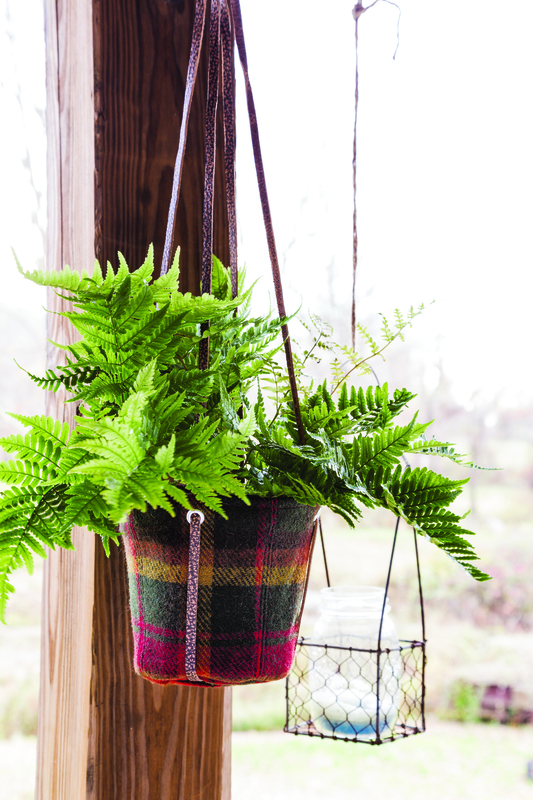 Susan assures us that Amy Alan’s planter project is fast, fun, and simple. We love the results. 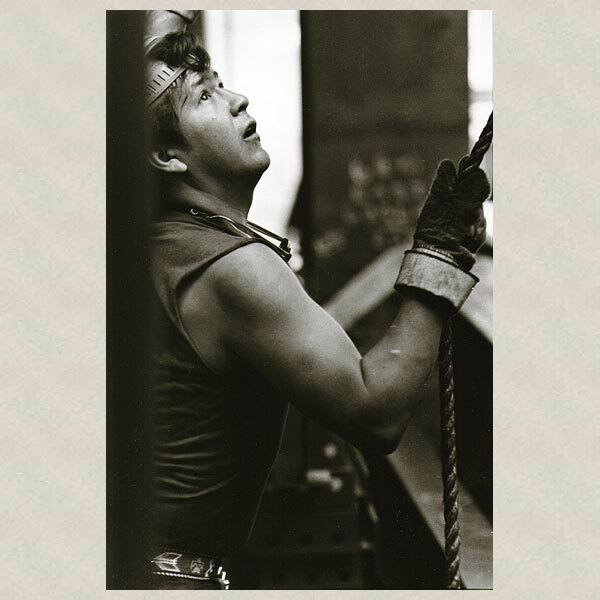 And if you’re not quite motivated for Mothers Day, don’t forget, there’s Fathers Day coming, too. We love the fabric below for that, and the pattern is easily adapted to one of our colorful jacquard patterns. 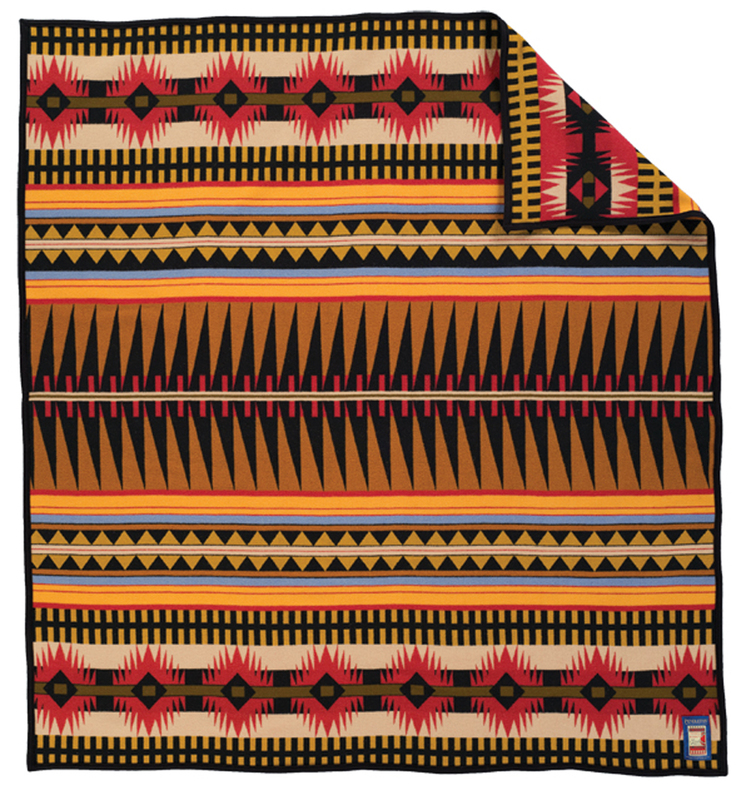 This is a fun way to give with a personalized Pendleton touch. 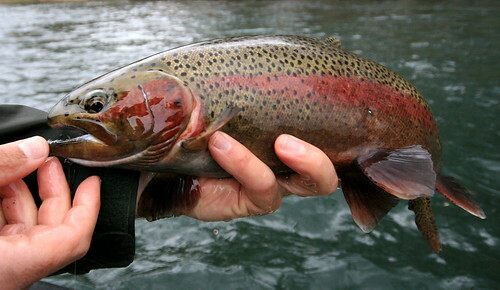 There are many, many products out there claiming to be green. From the sheep to the shelf, Pendleton Eco-Wise Wool® passes strict standards of sustainability and stewardship, verified and certified. This means that if you were to take a Pendleton Eco-Wise Wool® blanket and bury it, it would leave the earth better, not worse, for the addition. That’s a nice way to explain it, but we make blankets for you to use, not to bury. 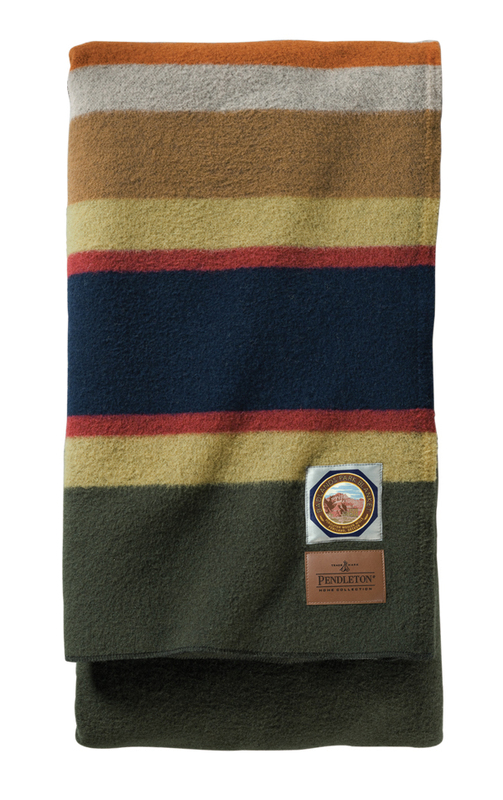 Pendleton Eco-Wise Wool® products are designed to be delightful to touch, easy to care for and beautifully colored. And they are woven in the USA of 100% virgin wool. Let’s start with our new Spring throws. These are all about the fun. These fringed throws come with a leather carrier, making this the perfect take-along blanket for your trips, picnics, hikes or sporting events. Best of all, they’re washable, so if your fun involves spills, sloshes, crumbs or mud, you’re covered. Just put it in the washing machine, even though it’s 100% virgin wool. We have two colorations of our classic Surf Plaid, and our new WoolDenim which looks like ring-spun denim, front and back. Also new for Spring, we have washable fringed throws in the beautiful ombre plaids you think of when you think of Pendleton. Be sure to check out the classic colors, too. Blocks, checks, plaids; these are just begging to be thrown over the arm of your sofa. 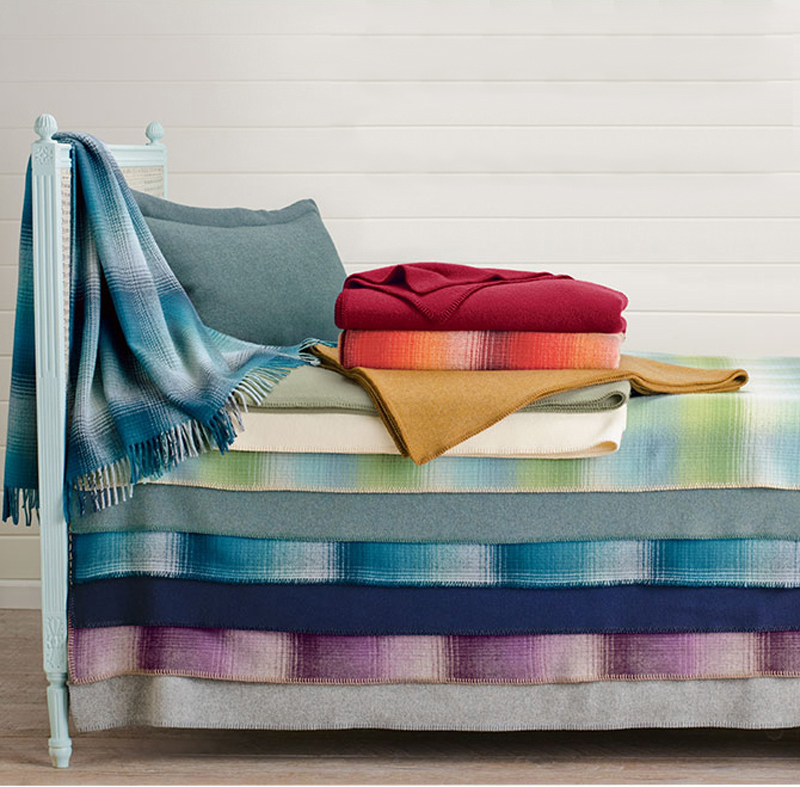 Our throws coordinate coordinate back to our Pendleton Eco-Wise Wool® bed blankets. 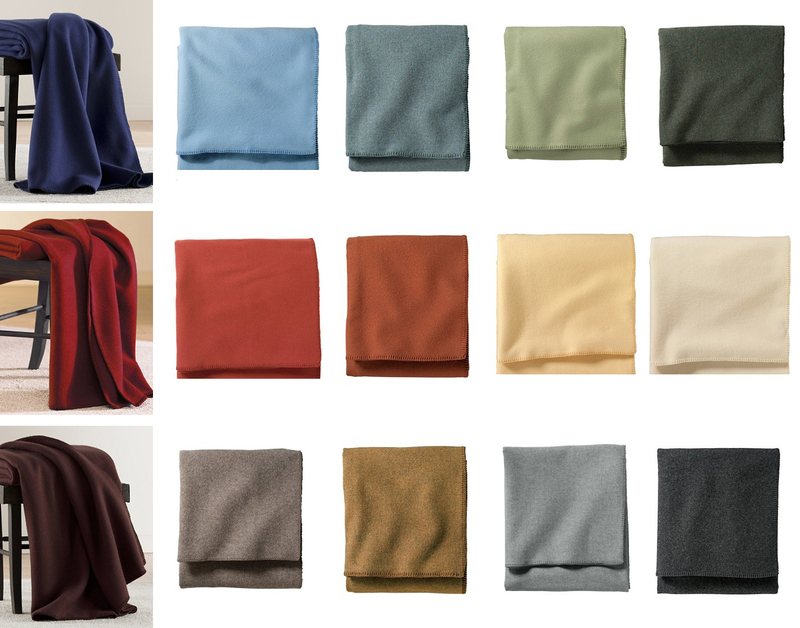 Here are the solids and heathers. Wool is a perfect choice for top-of-bed. There is a subtlety to the texture, nothing shiny or artificial about it, and the colors will remain true forever. Check out the bed blankets in stripes and plaids. There are accent pillows, fabric by-the-yard, window panels and more available in Pendleton Eco-Wise Wool®. Go warm with with traditional plaids, rustic with stripes and heathers, or keep it contemporary with checks. We have you and your bed totally covered. Blake Lively agrees! So give us a visit and see all our colorful ways to be green. 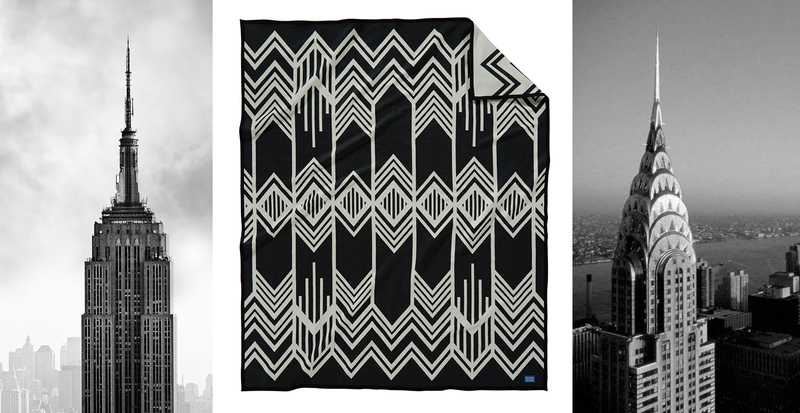 The Skywalkers blanket design (available now) was inspired by Art Deco design elements of some of New York City’s iconic skyscrapers such as the Chrysler Building and the Empire State Building. 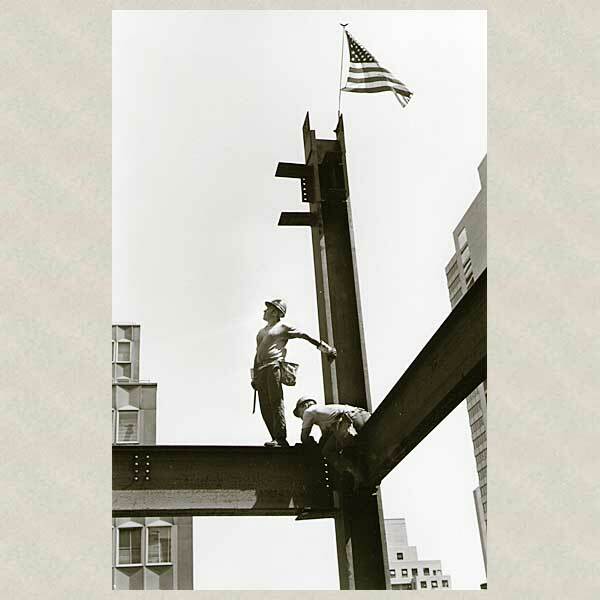 It is a salute to the skilled Native American and First Nations iron workers who built some of the city’s famous landmarks, including the George Washington Bridge and the new One World Trade Center. 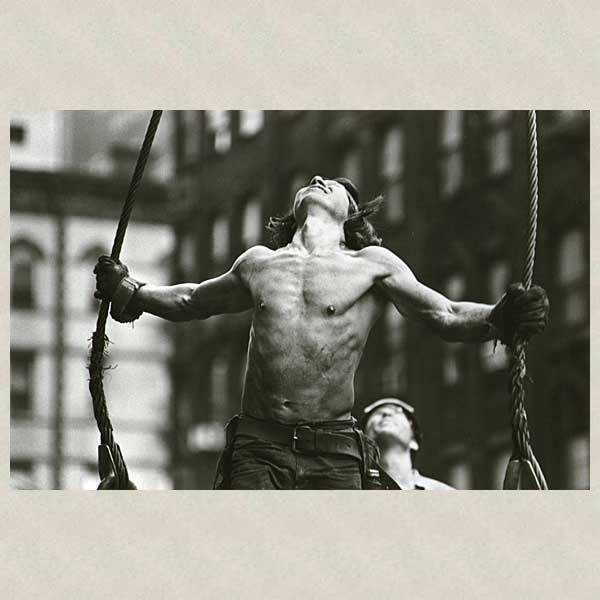 To see the faces of these seemingly fearless men, please visit this incredible collection of tintypes by Melissa Cacciola. You can read the entire story below, which is a repost from Whitewolfpack.com and used with their permission. The original text of the article is written by Renee Valois. 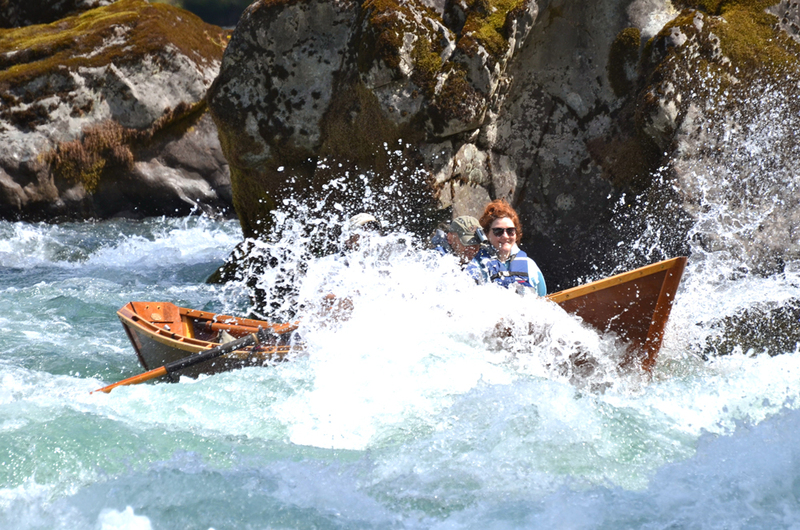 The following photographs are copyright © 2012 David Grant Noble. Happy National Tartan Day! Here is the official Pendleton Hunting Tartan. 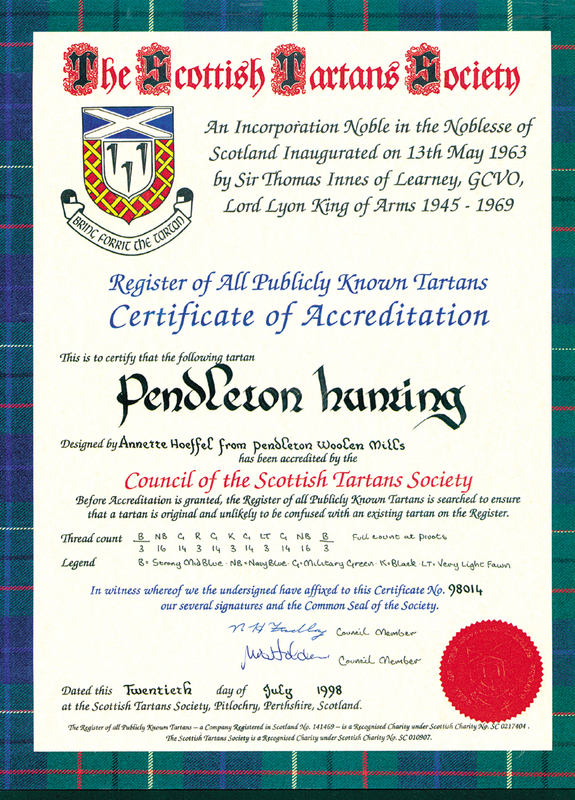 In 1999, Pendleton Woolen Mills registered the official Pendleton Tartan with the Scottish Tartans Society. The tartan itself can be seen around the borders of the certificate.This tartan was created to commemorate Pendleton’s roots in the Pacific Northwest and the many generations of family that have overseen Pendleton’s business through the years. The official company tartan also salutes the British Isles origin of Pendleton’s weaving heritage, thanks to our founder, Thomas Kay. So enjoy National Tartan Day. Wear your plaid with pride, and the next time you go out hunting Pendleton, consider wearing our tartan. We urge you–strongly urge you–to click the link to watch this beautiful video posted by the Atlantic. 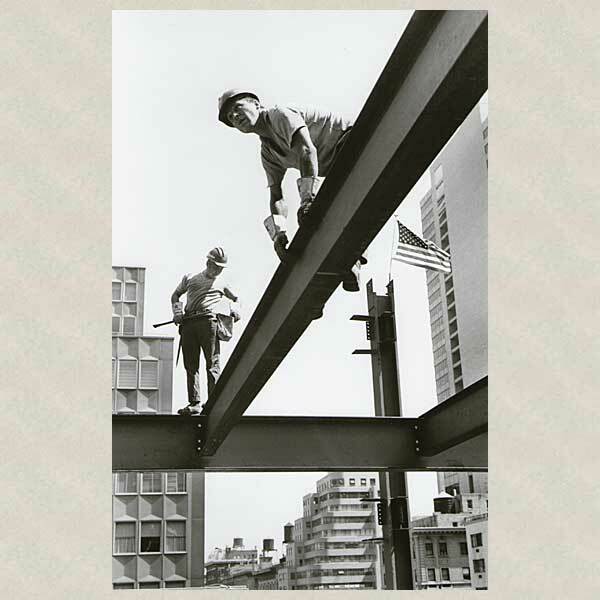 It captures the charm and the chill of our home state’s seaboard. It begins with the moon, which is appropriate for a region that is controlled by the tides, and sometimes starved for the sun. There is swimming (in shorts) and surfing (in wetsuits), sitting on the sand (in sweatshirts). There are hardworking fishermen who buy our shirts to stay warm. There are the contented cows of the Tillamook County Creamery Association, feeding happily on the dense grass that grows in air that’s lush with moisture. Waves, trees and rock formations form a natural backdrop for mankind’s contribution; piers, docks and buildings that fight a constant battle to stay painted and standing under the constant barrage of mist, rain, wind and salt. 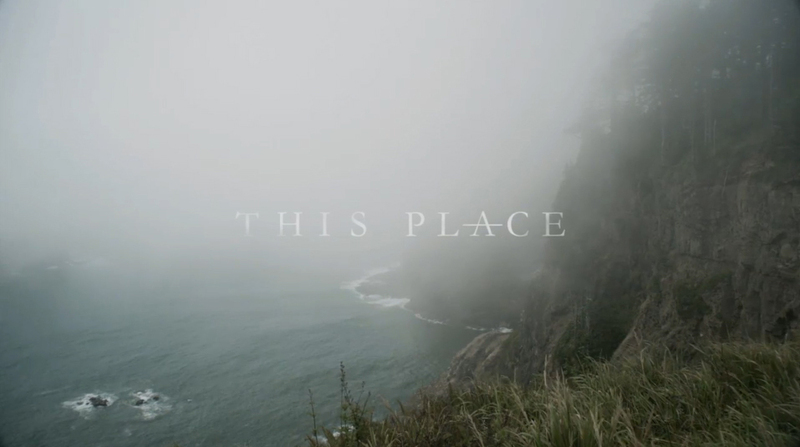 We think this video does a perfect job of conveying why everyone in Oregon doesn’t live at the coast, and why everyone in Oregon secretly thinks we might want to. We hope you can see some of this Oregon in our Journey West and Mission Mill blankets, which commemorate the westward journey and first mill of our founder, Thomas Kay. Journey West is based on a piece of fine European weaving. The original blanket was discovered recently in a 19th-century European mill and included the designer’s notes and calculations, handwritten neatly along the sides. Our modern Pendleton designers viewed this historic work of art with reverence and used it as inspiration for our Journey West jacquard design. This design’s European origins echo the story of master weaver Thomas Kay, who began his training as a bobbin boy in English mills before coming to America to establish the family legacy that led to Pendleton Woolen Mills. Mission Mill is named for the mill in Salem, Oregon, that was built (and rebuilt) by Thomas Kay after he made his way to Oregon. 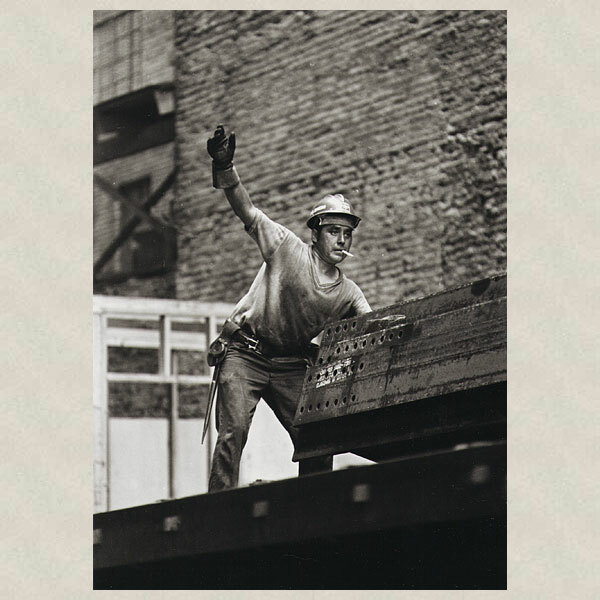 The Thomas Kay Woolen Mill turned out the first bolt of worsted wool west of the Mississippi. The old mill is a part of the historic Mission Mill Museum in Salem, Oregon. The Victorian colors and composition of the design are a nod to our founder’s English ancestry. 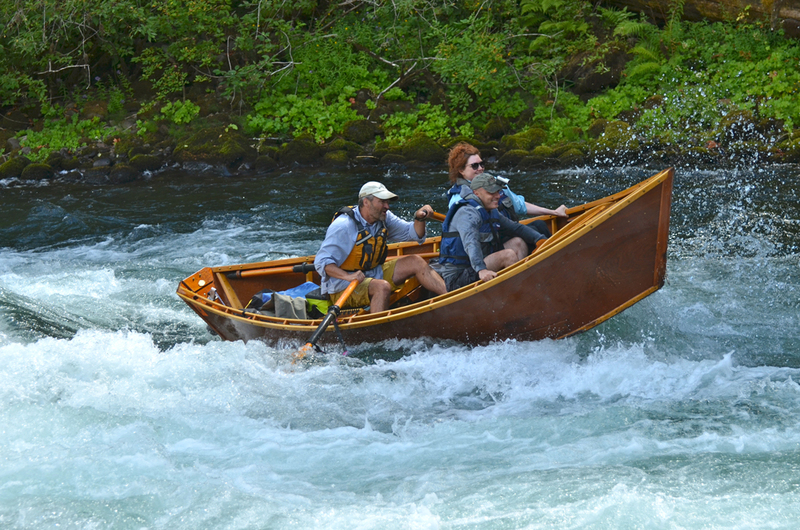 Oregon is a state of great natural beauty, climatic variability and bountiful resources. Thomas Kay must have understood that when he settled in Salem. 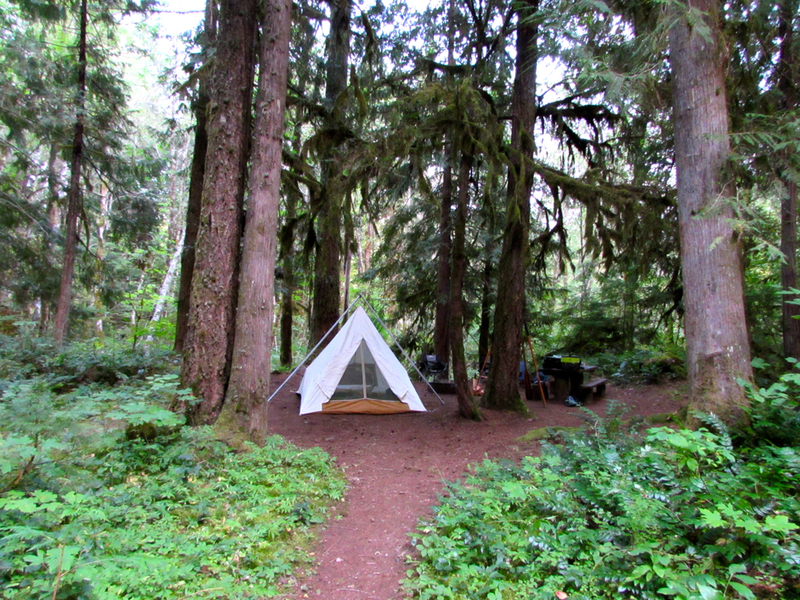 Our state’s population continues to grow, but we want to warn those of you who are considering the Oregon coast as your destination: watch the video and pay attention. If you move here, you’re going to need blankets. We love to see your Pendleton lifestyle on Instagram. Please tag us with #pendleton to make sure we see you, and your #pendlepups! Sad Pom! You have a treat and a Pendleton spa towel. Why so sad, little Pom? Do Dachshunds dream of being Greyhounds? This one does, on a Chimayo throw. 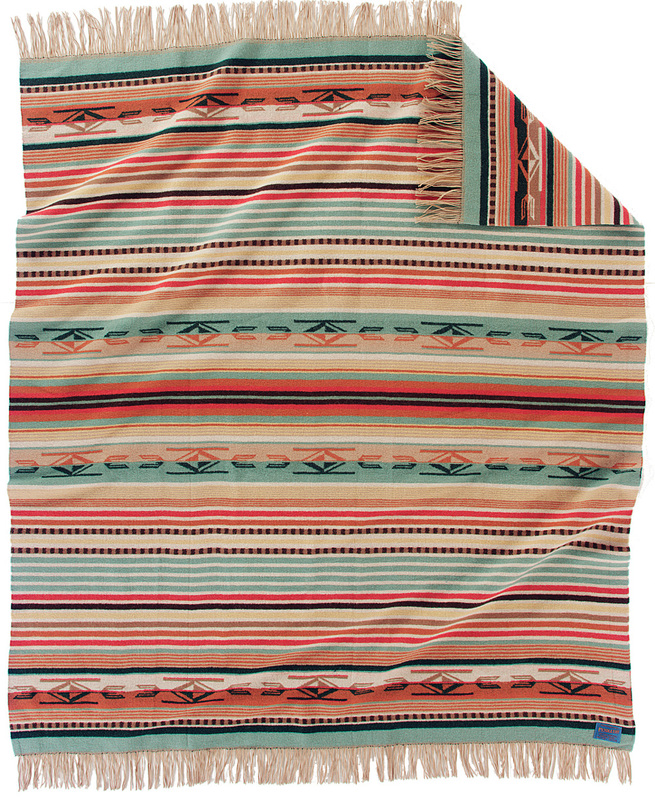 Did you know our Chimayo throw now comes in six different colorations? Well, now you do! A wee beach dawgie naps on a Pendleton spa towel. 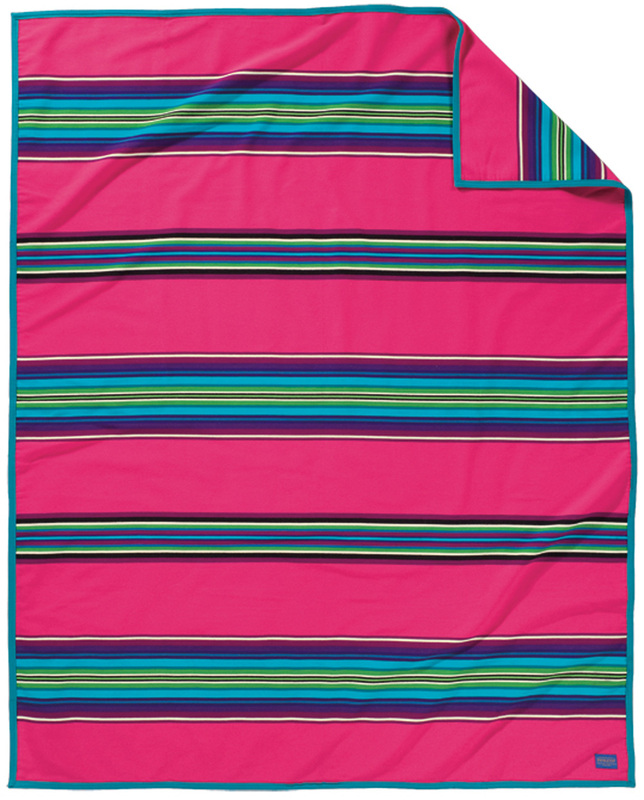 Our spa towels continue to be just the thing for beach and poolside, so take one along on your vacation this winter. Rocco Pom received a Painted Pony baby blanket of his own, because clearly he is somebody’s baby. But he is not to be playing with the Lucky Bear, because that belongs to another baby. Tiny terrier on tartan. Say that three times fast. Wee Frenchies recline on a Hemrich Stripe camp blanket. 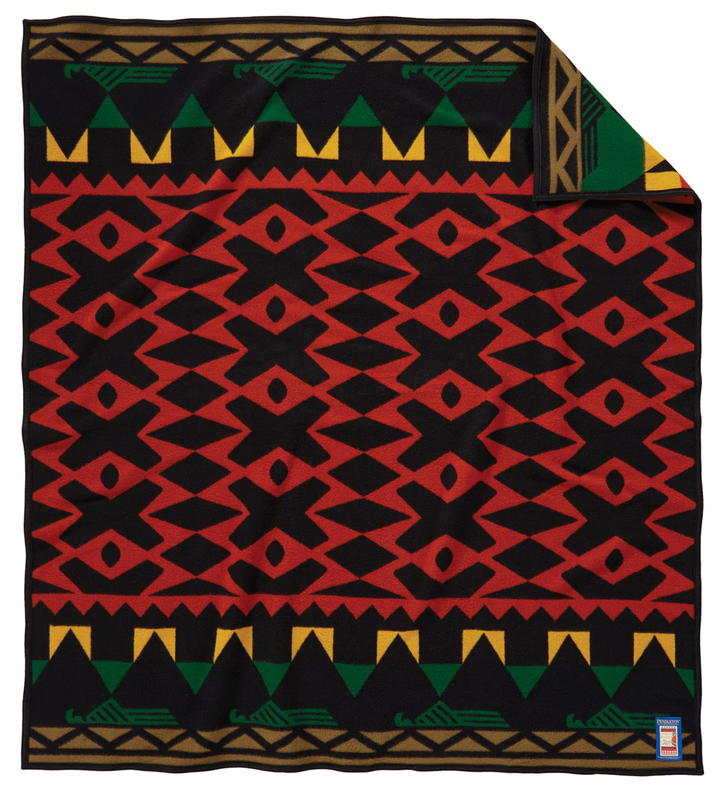 Our camp blankets continue to be a terrific choice for dorm rooms, sofa throws, and picnic blankets. Some Rat Terriers have their close-up moment in a Chief Joseph blanket. 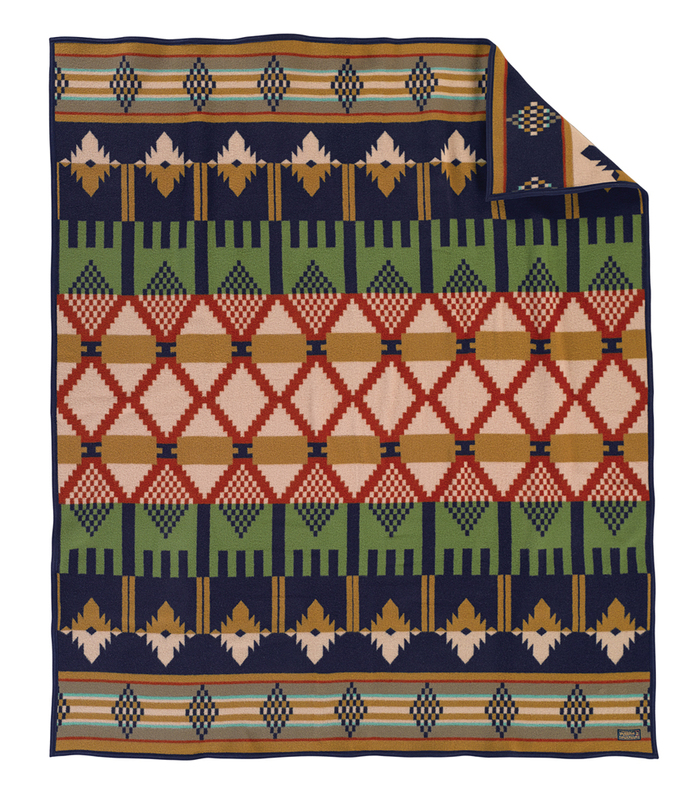 This is Pendleton’s oldest ongoing pattern, in the line since the 1920s. Tiny Dingo on a Pendleton, Snug pug on a Pendleton. It’s hard to ID these blankets, because they are shown on the reverse and there’s an Instagram filter on the shot. It’s a dog’s life for this sleeply spaniel, tucked in under a 5th Avenue throw in the Glacier National Park stripe.